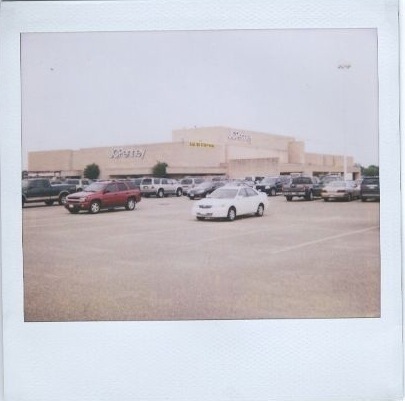 June | 2007 | That Mall is sick and that Store is dead! 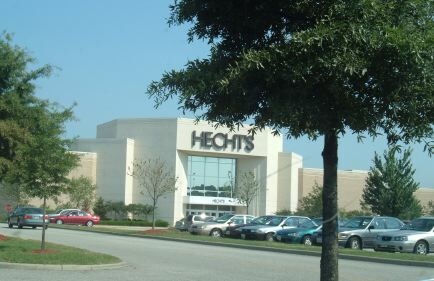 This past weekend, I went to Virginia Beach to see a friend, and on the way there, my father and I got lost, and we passed by this building. I wished I could have taken a photo. Well, well well. 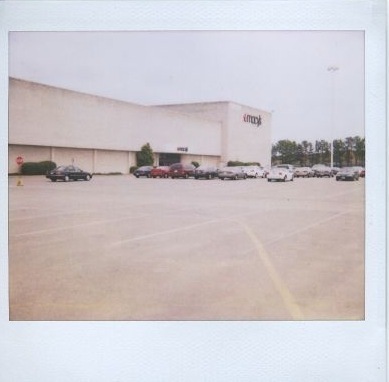 My friend works very close to this building and she pulled in so I could take a photo. This looks like this could’ve been a J.M. Fields or a Bradlees at one point or another. Here is the Wikipedia page on HQ. 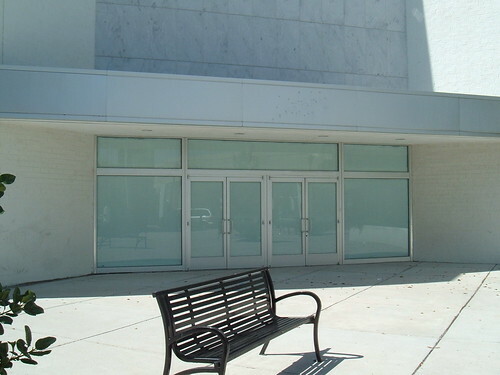 This photo is super sad. 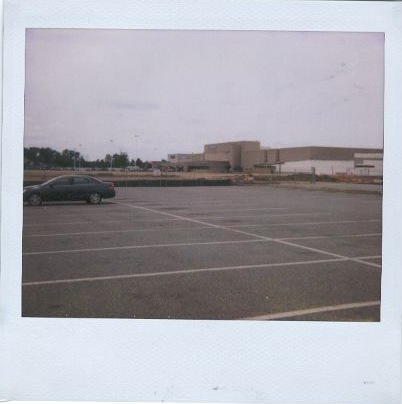 I remember running across this page in 2005, but not thinking much of it, but now since the mall is gone we can appreciate it more. 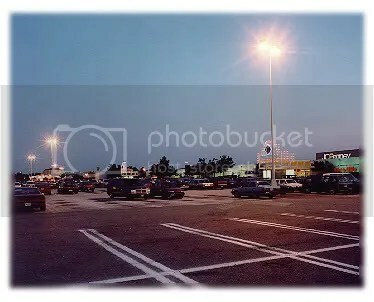 And this proves my memory that those ugly blue things were not added around the entrances until the late 90’s or early 2000’s. I tried contacting the Halophane company to see if they had anymore photos, but I’m sure its a futile attempt. HAMPTON — The City of Hampton is inviting residents to come and watch Monday as the Coliseum Mall’s trademark flyover is brought down. 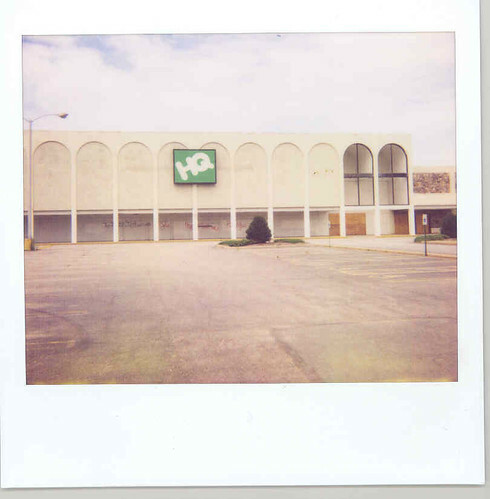 The elevated ramp — which provided a quick hop from Mercury Boulevard into the parking lot of the now-demolished mall — will be taken down starting at 10 a.m. Monday. The city is offering residents a chance to “take one last walk” across the flyover. Will Bassett, marketing manager for Hampton’s department of economic development, said the flyover will not be imploded or crushed. Rather, he said, it will be taken down piece by piece over the course of about 60 days. Monday’s “groundshaking ceremony” will mark the beginning of that process, starting with a section of guardrail that will be pushed off the flyover. People wanting to attend the ceremony can park between Outback Steakhouse and Bennigan’s. 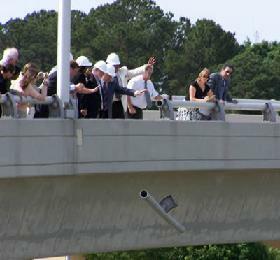 By 13News There was one last walkover on the flyover on Mercury Blvd. to Coliseum Mall Monday morning. At the 10 a.m. “groundshaking ceremony,” the first section of guardrail was cut and toss to the ground below. The flyover, completed in 1973, will be taken down piece by piece over the next two months. The demolition is part of the conversion of Coliseum Mall into Peninsula Town Center, a 75-acre mixed-use development with shopping, dining and entertainment venues. “The demolition of the flyover is a major representation of the transformation happening in the Coliseum Central district,” said Mayor Ross A. Kearney. Officials say the flyover’s removal will increase visibility and access to the Peninsula Town Center and other surrounding sites while providing improved pedestrian connections at the intersection. HAMPTON — How many politicians does it take to push over a guardrail? Hampton Mayor Ross Kearney led the group as they pushed over a section of the guard rail on the Coliseum Flyover in Hampton Monday morning. 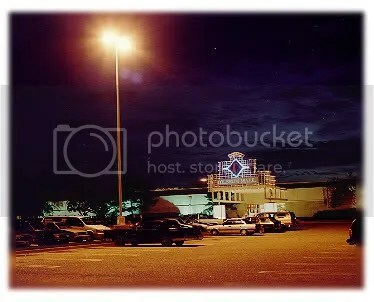 It marked the beginning of the end of the well-known ramp that has funneled cars off Mercury Boulevard and into the Coliseum Mall since 1973. 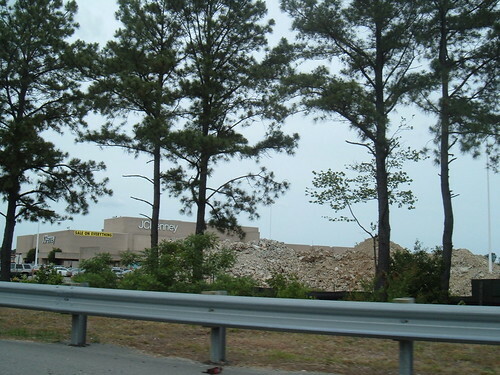 The demolition is part of the redevelopment of the Coliseum Mall into the new Peninsula Town Center, scheduled to open in 2009. It’s expected to take about two months for the flyover to be completely removed. Kearney said a nine-lane roadway will open in its place in June of next year. About 35-40 people attended the ceremony. This Food Lion was built in 2003 during the time a new neighborhood was being built in Smithfield. This week, Food Lion announced that some stores would be converted to the more upscale “Bloom” moniker. Which makes sense due to all the fancy pants neighborhoods popping up, and the Farm Fresh a few miles down that is getting more fancy pants by the year. 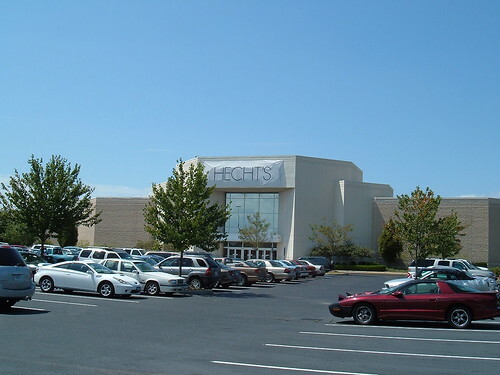 August, 2005 when it was a Hecht’s. August, 2006 during the transition. This afternoon, my dad took me out so I could play with my camera I got off of eBay. Ok, I have to get this out in the open before I stew all over it….I screwed up the film. 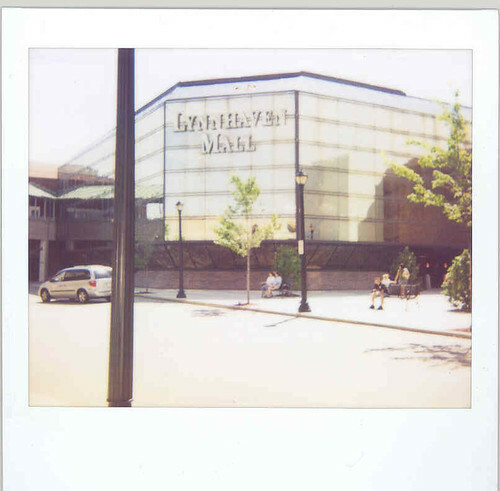 I took too many pictures or something, and the film like…pulled out of the canister. When I opened up the camera, I exposed the film, it was all wound to the film winder? instead of the canister where its supposed to be when you’re done with a roll of film. My dad put got in a closet this this red light he had sitting around the house to try to fix the roll, but we know its ruined. Ok, with that fuming over, we can continue on with our entry. 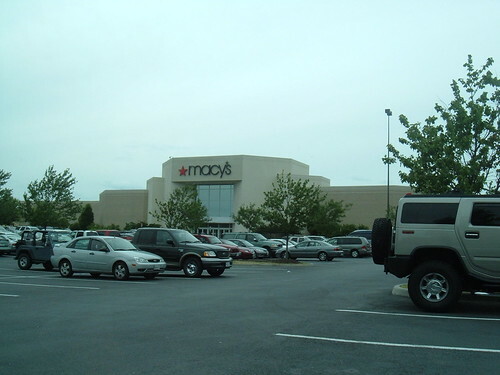 JC Penneys and Macys are my favorite buildings in Hampton.